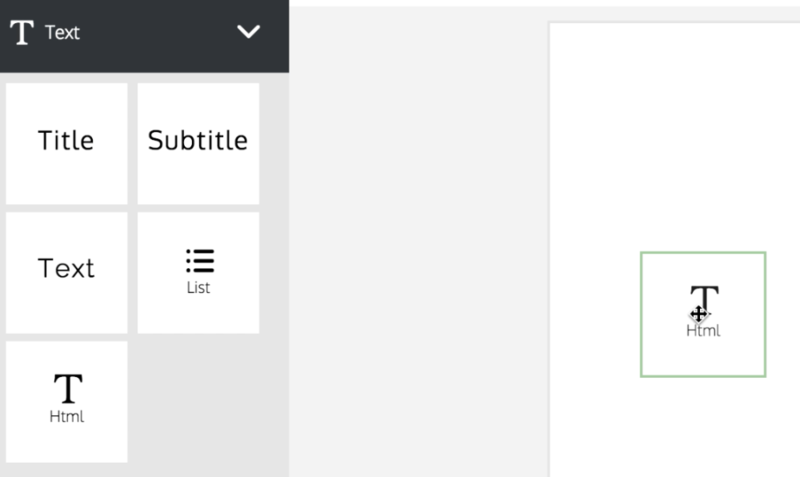 How do I use HTML mark up text? 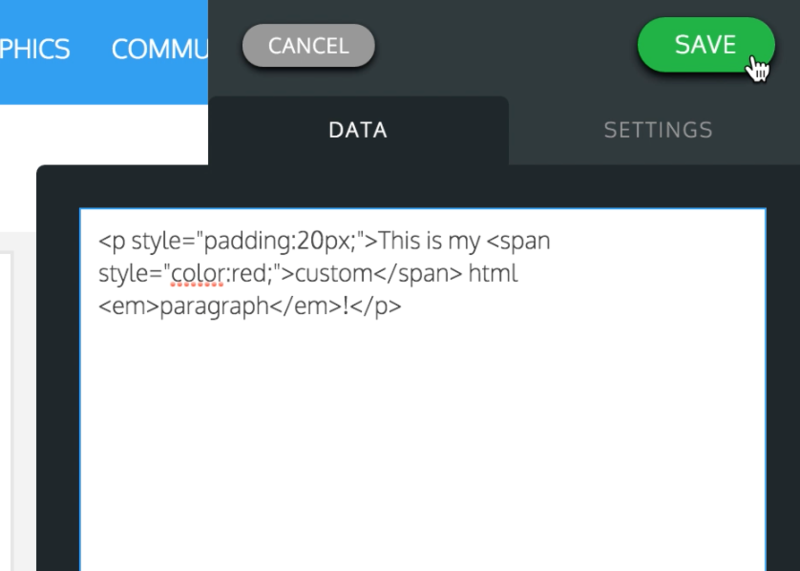 To use HTML markup text, drag the HTML text box from the left panel onto the canvas. Double click the text box which will open up the text editor. After you have filled in your custom html markup text, click Save.